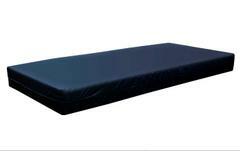 Its is made of ABS material.It is a backrest adjustable medical bed for rent. 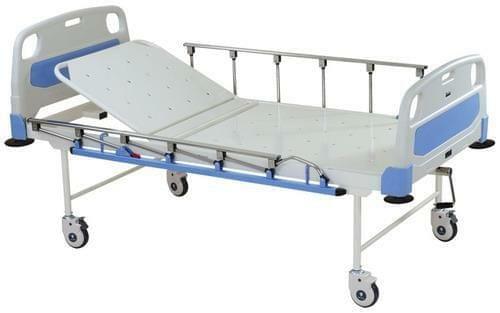 It is made in two sections, one is fixed section and other is movable backrest section. 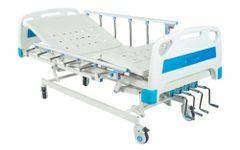 Crank is available with safety side railing and four wheels. 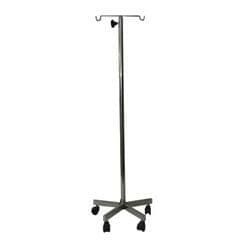 It is available with four IV Rod locations and head elevated hsopital cot. Handle: One Stainless Steel Handle. Head and Leg Lift: ABS Panels. Safety Side Railings: Available at both side i.e. Right & Left. Back Rest: Raising and Adjustable. *Actuals Based on Transportation Distance.